This ornament is so easy to make and looks lovely on the tree. It has an old fashioned, antique copper look to it. This 3" reindeer is made from a brown paper bag. The pattern is cut 3 times from the bag so the ornament has 3 layers. Mix small amount of glue with a few drops of water in a dish. Paint on glue mixture to adhere layers. Do not let it dry. Right away light candle in a holder. Paint glue on top side of reindeer and pass glue side of the ornament through the flame holding it with tweezers to "burnish" the reindeer. There should be a blackish sooty look to it. Turn reindeer over and paint the other side with glue. Pass it through the flame. Place reindeer on newspaper and immediately wipe each side with a Kleenex to shine it. Let it dry and harden. 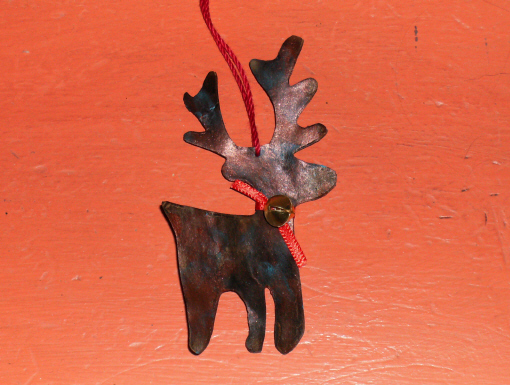 Put a small drop of copper paint on your fingertip and rub it over the reindeer lightly. Do the same with the aqua paint in small areas. Cut ribbon and tie around neck. Glue tiny jingle bell to ribbon. Poke a hole in between antlers with a needle for thread to hang on the tree. 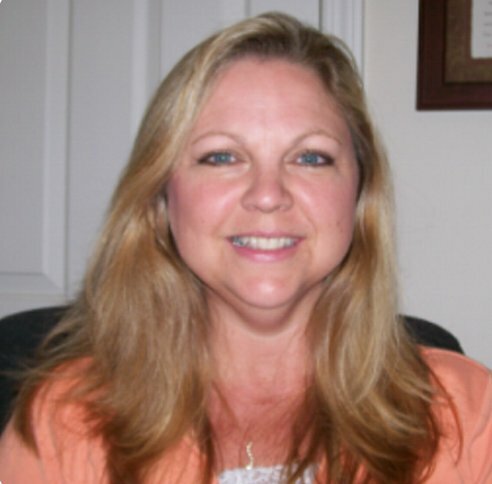 Copyright © 2007 by Diane Black. All rights reserved.